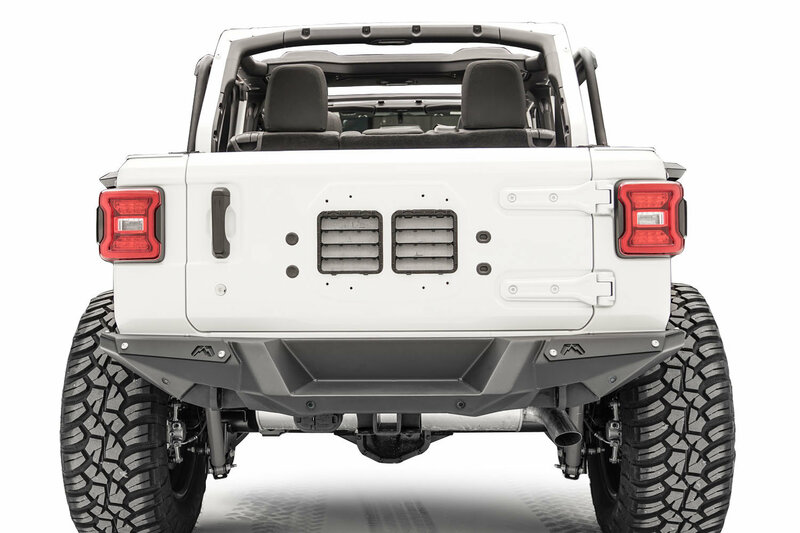 Give you Wrangler JL an aggressive off-road look with Fab Fours new Rear Bumper. This bumper was designed to make your JL stand out from the pack with superior strength and eye catching styling. 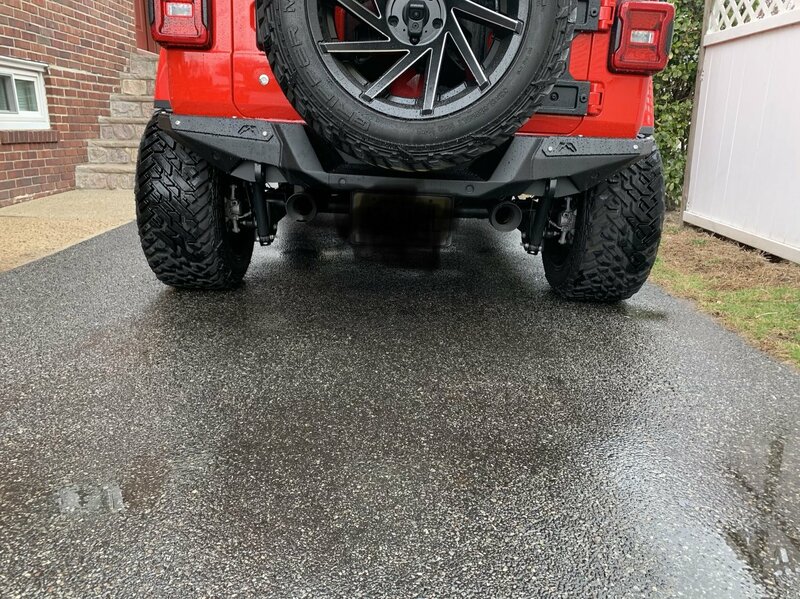 Constructed of 3/16" gauge steel to give you ultimate protection and durability, this bumper has integrated D-Ring mounts, cut outs to retain the factory sensors & allows you to carrier up to a 35" spare tire. Finished off with a 2 stage matte black powder coat to prevent rust keeping it looking great for years to come. Durability: Constructed from 3/16" gauge steel that is then 2 stage powder coated in matte black this bumper is made for the long haul standing up to whatever is thrown at it. Installation: There is no cutting or drilling required to install this bumper. It is a simple bolt on upgrade that gives your JL a new lok and have you back out on the road or trails in no time.